With just 100 laps to go, it looked like it’d be the Roush-Fenway Racing show as Trevor Bayne and Ricky Stenhouse Jr. were battling for the lead. 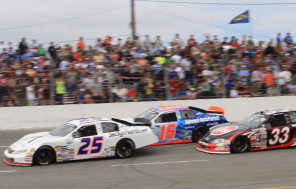 However, a caution with 35 laps to go changed the whole ending of the race. 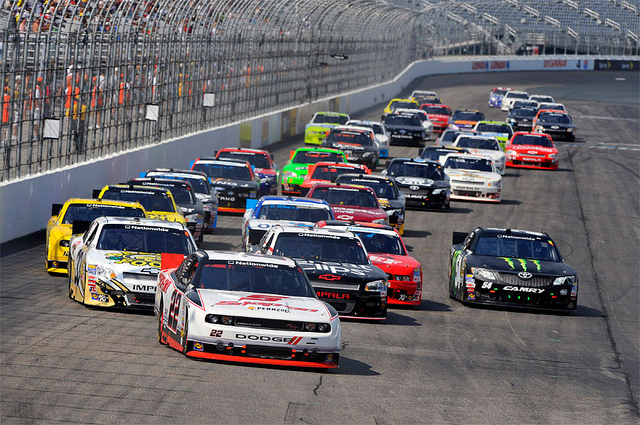 While most of the leaders pitted, Elliott Sadler stayed out and was able to hold off the field to win the race. “This beats my wildest dreams to win two of the first four races,” Sadler says. “I definately love this place and look forward to coming here every time.” Sadler added that this win is a little extra special as it’s the first victory that his parents have been there to witness. The caution came out as Kyle Busch had a brake duck break, littering debris all over the track. The win gives Sadler his second win in the first four races of the season after going winless all last year. Before this season, Sadler last Nationwide Series win was in 1998 while his last Bristol win was in the Sprint Cup Series in 2001. Lambert added that he was sitting in the grandstands on that day with his father. When crew chief Luke Lambert first made the call, Sadler was slightly worried about how it’d work out. Lambert then reminded Sadler that of how he won the previous race at Bristol. Lambert was partnered with Sadler for the 2012 season after Richard Childress saw the type of crew chief Sadler was needing. Sadler says the difference for him, personally, is having a car owner that believes in him. Kasey Kahne, who stayed out with Sadler, would come home second, followed by Brad Keselowski and pole sitter Joey Logano. Dale Earnhardt Jr. came home after finishing fifth with a car that was loose all day. Stenhouse Jr. would finish sixth after leading 64 laps, followed by Justin Allgaier, Trevor Bayne, Kevin Harvick and Ryan Truex. 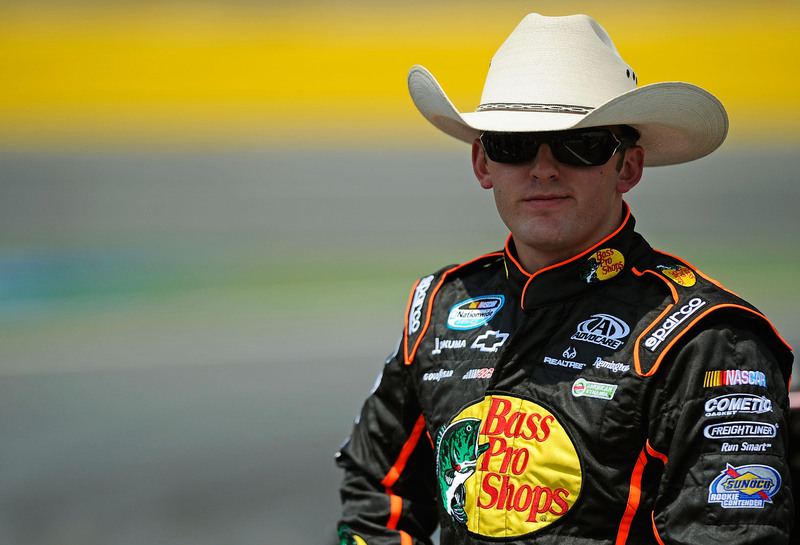 Austin Dillon would be the highest finishing rookie in 12th. Danica Patrick would bring her St. Patrick’s Day themed Go Daddy Chevrolet home in the 19th position, two laps down after starting 27th. 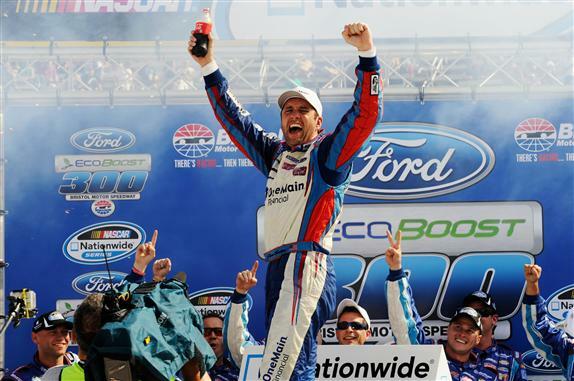 With Sadler winning this race, he keeps the streak going of Nationwide-only drivers winning races this season. Childress says this is in part due to the new points system with how they award points to series-only drivers. 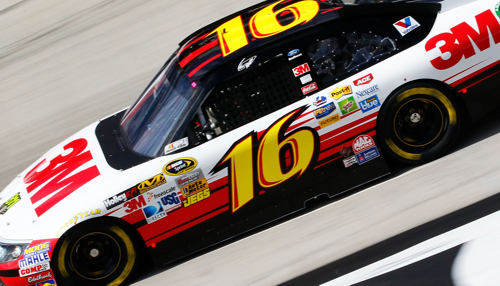 Greg Biffle Snags Food City 500 Pole!